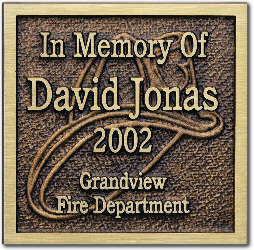 Plaques are a great way to commemorate a special occasion or a special goal. We only use the finest materials in our laser-etched plaques. 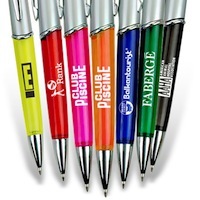 Pens, notepads, USB Flash Drives, whatever you want or need to promote your business with, we can customize for you. 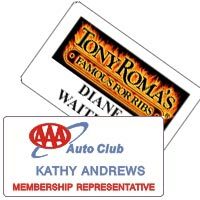 An often overlooked item, name tags are essential to any function where people are meeting each other for the first time. What sets Incredible Engravings apart from other engravers and awards companies is our Incredible customer service and attention to detail. 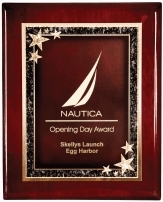 We take the time to listen to our customers so that we may guide them in selecting the engraved awards, plaques, promotional items, name tag badges and other items that best suit their needs. Call us for personal attention at 636.441.4811. 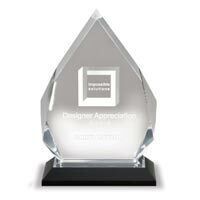 Glass and Crystal are simple, yet elegant and beautiful to present awards. With our laser-etching system, we guarantee you’ll love it. 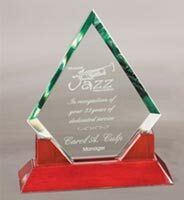 Our acrylic items are great gifts to celebrate a special moment or to showcase a key factor in your business. Read on for more ideas. 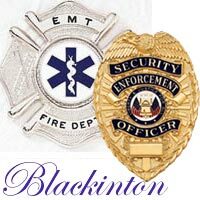 Incredible Engravings is a registered Blackinton distributor for Fire and Police Badges and Insignia. 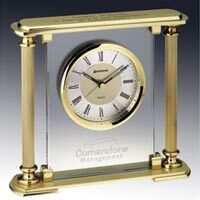 Unique and personalized clocks for memorable gifts or keepsakes. Many available as digital or analog, wall or mantel.